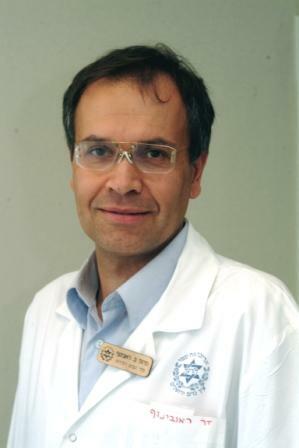 Progress in the treatment of multiple sclerosis and macular degeneration was highlighted by Prof. Benjamin Reubinoff, Director of the Hadassah Medical Center’s Human Embryonic Stem Cell Research Center, during Hadassah Australia’s Stem Cell Week, November 16 – 18, 2009. Hadassah Australia hosted multiple seminars in Melbourne, Perth, and Sydney with the goal of educating both professionals and lay people on the issues that surround the use of stem cells in research and treatment of disease and injury. Other featured speakers were Prof. Alan Trounson, President of the California Institute for Regenerative Medicine, and Prof. Laurie Zoloth, Director of the Center for Bioethics, Science and Society, Northwestern University, Illinois. Prof. Reubinoff spoke about his work at Hadassah that is translating research into clinical practice. In collaboration with scientists from Monash University in Melbourne and the National University of Singapore, Prof. Reubinoff derived ES cell lines from human embryos. Their group was the second in the world to derive human embryonic stem cell (hESC) lines and the first to show somatic differentiation of the hESCs in culture. As part of stem cell week, Hadassah Australia partnered with the Australia Israel Chamber of Commerce in Melbourne, Perth, and Sydney to offer luncheons and evening programs. Another major component was the AUSiMED one-day professional conference at Monash University. Attendees included stem cell researchers, senior academic staff from the major universities and research institutions, government officials, bioethicists, clinical specialists, general medical practitioners, patient advocates, and members of the public who were interested in learning more about the debate that surrounds the use of stem cells. AUSiMed, the Australia Israel Medical Research Initiative created by Hadassah Australia, supports clinical collaboration and bilateral research between the Hadassah Medical Center and high-level medical and scientific institutions in Australia. Hadassah Australia’s Stem Cell Week culminated in a gala dinner in Sydney with guests from business and academia, donors, and prospective donors.